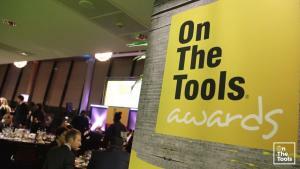 The ‘On the Tools Awards’ shortlist is now live and voting is open to the public! The awards are not only a brilliant way to bring together our community but to also recognise the hard work, dedication and level of excellence provided by talented and skilled individuals and companies throughout the construction industry. With various categories being acknowledged for their graft - from gifted landscapers, dynamic power tool brands to the best plumber - this year's shortlisted nominees for this particular category (sponsored by Redring) are Andy Hindes and Lewis Shaw. We wish them both and all shortlisted entrants the best of luck. On the Tools are really excited to unveil the shining stars of our industry in the UK’s second city. This is definitely a night you do not want to miss.